My monthly report covers a large part of what I have been doing in the free software world. I write it for my donators (thanks to them!) but also for the wider Debian community because it can give ideas to newcomers and it’s one of the best ways to find volunteers to work with me on projects that matter to me. With the increasing number of paid contributors, easy fixes (CVE with patches available) tend to be processed rather quickly. All the package I worked on had issues that were open for a long time because they were hard to handle. I prepared DLA-613-1 fixing 3 CVE on roundcube. The fix required to manually backport the CRSF handling code which was not available in the wheezy version. I spent almost 8 hours on roundcube. Then I started to work on tiff3. I reviewed many CVE: CVE-2016-3658, CVE-2015-7313, CVE-2015-7554, CVE-2015-8668, CVE-2016-5318, CVE-2016-3625, CVE-2016-5319. I updated their status for tiff3 in wheezy, requested reproducer files to people who reported the CVE when the files were not publicly available and made sure that everything was recorded in the upstream bug tracker. The 4.25 hours I spent on the package were not enough to work on patches, so I put the package back in the work queue. 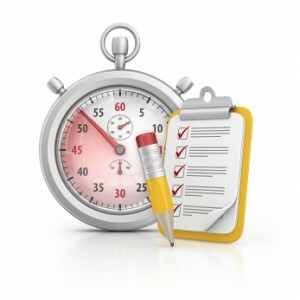 I uploaded a new gnome-shell-timer that would work with GNOME 3.21 that had been uploaded to sid. Unfortunately, that new GNOME (and GTK+) version caused many regressions that affected Debian Testing (and thus Kali) users in particular in gnome-control-center. I uploaded a new version fixing some of those issues and I reported a bunch of them to upstream too (#771515, #771517, #771696). I worked on #836211 creating a dpkg patch to work-around the overlayfs limitation (we use it in Kali because persistence of live system relies on overlayfs) and I contacted the upstream overlayfs maintainer to hopefully get a proper fix on the overlayfs side instead. I uploaded radcli 1.2.6-2.1 to fix RC bug #825121 as the package was removed from testing and openvas depends on it in Kali. As part of the pkg-security team, I sponsored/uploaded acccheck and arp-scan for Marcos Fouces, and p0f 3.09b as well. Distro Tracker. I tested, fixed and merged Paul Wise’s patch integrating multiarch hints into tracker.debian.org (#833623). Debian Handbook. 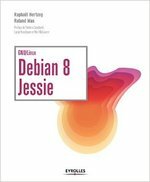 I enabled the new Vietnamese translation on debian-handbook.info and updated all translations with Weblate updates. systemd units for apache2. I prepared systemd units for apache2 which I submitted in #798430. With approval of Stefan Fritsch, I committed my work to the git repository and then uploaded the result in version 2.4.23-5. Hindsight packaging. I first packaged lua-sandbox (#838969) — which is a dependency of Hindsight — and then Hindsight itself (#838968). In this process, I opened a couple of upstream tickets. PIE by default. I uploaded a new version of cpputest compiled with -fPIC so shat executable linking to its static library can be compiled with -fPIE (#837363, forwarded upstream here). Bugs filed. Bad homepage link in haskell-dice-entropy-conduit. Inconsistent options --onlyscripts and --noscripts in debhelper. pidgin entry in security-support-limited is out of date in debian-security-support. New upstream version (2.0.2) in puppet-lint.